Do you think one person can leave a legacy to change humankind forever? If so, what does that mean for that person or their family? The Immortal Life of Henrietta Lacks tackles questions like these and so many more in this true telling of one amazing person’s legacy to humankind. Even if you have never heard the name “Henrietta Lacks” she has probably affected your life in some significant way. Because of her, we have a cure for polio, we can read DNA, we have the ability to research cancer, she is possibly the single biggest advancement in scientific research in the last century and she was just a normal person, not unlike yourself. Henrietta was a poor black tobacco farmer from the south. Her cells, known to scientists as HeLa cells, were taken without her knowledge and now have been bought and sold by the billions, yet she remains virtually unknown and her own children cannot afford health insurance. This New York Times bestsellers takes readers on an extraordinary journey, from the “colored” ward of Johns Hopkins Hospital in the 1950s to stark white laboratories with freezers filled with HeLa cells. From Henrietta’s small, dying hometown of Clover, Virginia, to East Baltimore today, where her children and grandchildren live and struggle with the legacy of her cells. 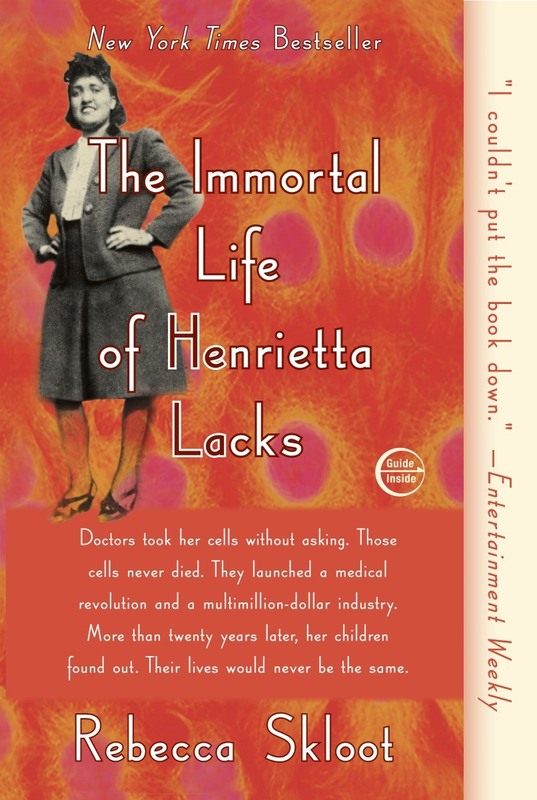 The Immortal Life of Henrietta Lacks tells a riveting story of the collision between ethics, race, and medicine; of scientific discovery and faith healing; and of a daughter consumed with questions about the mother she never knew. It’s a story inextricably connected to the dark history of experimentation on African Americans, the birth of bioethics, and the legal battles over whether we control the stuff we’re made of. OKCU Reads is new students’ first opportunity to engage with the community of scholars that is central to the OKCU experience. In August, as part of Stars Week: New Student Orientation, first-year students will participate in a series of discussions and activities providing a deeper appreciation of The Immortal Life of Henrietta Lacks. Creative Reflections on The Immortal Life of Henrietta Lacks. ETHICS, FAMILY and KNOWLEDGE describe key elements of Skloot’s work. Due to the generous gift of the Holland Family, OKCU is pleased to give each winner of the OKCU Reads MUSINGS competition a prize for their work. Each Winner will be invited to attend lunch with the Lacks family, Thursday, August 16th, and each winner will receive recognition and awards at the Family Presentation later that afternoon.